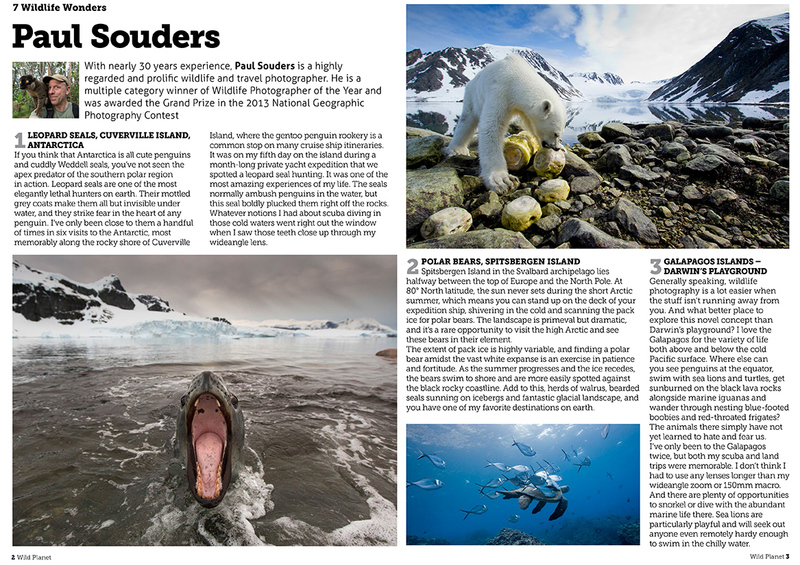 Keith Wilson, editor at Wild Planet Photo Magazine, showed considerable patience and forbearance waiting for me to come up with a list of seven “Wild Wonders” of the natural world. I think the hardest part was narrowing my list down to only seven favorite places. This entry was posted on Monday, January 27th, 2014 at 6:29 pm. 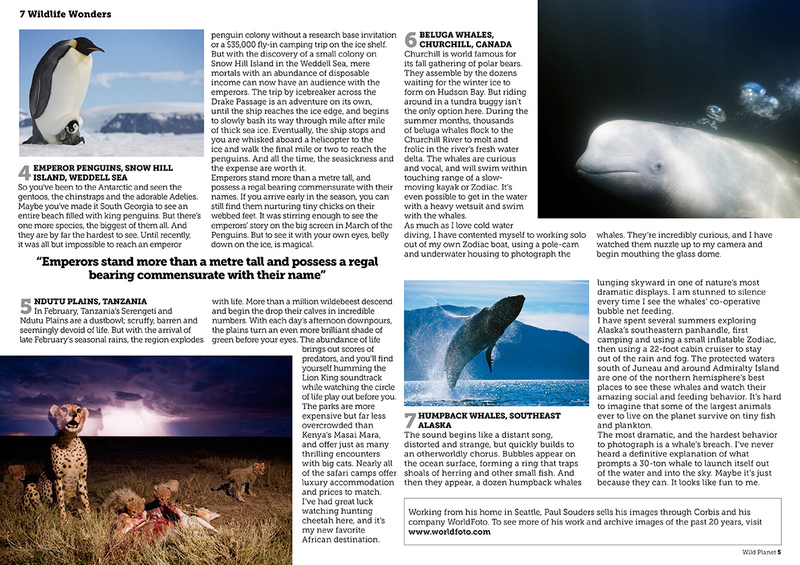 It is filed under News and tagged with Published Work, Travel, Wildlife. You can follow any responses to this entry through the RSS 2.0 feed.